The art of the Renaissance was largely religious in nature, reflecting the emergence of Christianity as a world religion. 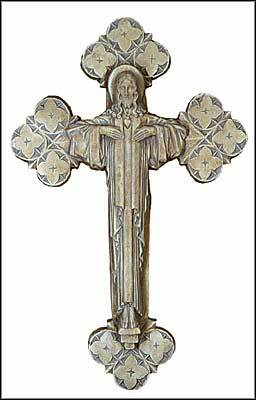 This classic 15th century motif portrays Christ in his risen form, inspiring hope of redemption for all mankind. His hands rest on a heart that throbs compassion for the sufferings of humanity as his arms lift in offering of redemptive wisdom.